There might have been a drop in the frequency of use of landline phones for business communication because of the advent of computers as well as the internet. However, landline telephones still rank higher when rated on clarity of communication from a business related viewpoint. No matter how fast and effective the technology, cellphones still cannot match the communication satisfaction granted by old fashioned telephones. A major reason for this is that business set ups essentially depend upon landline usage in order to establish user identification, provide for a clearer communication and ensure a long lasting use on the device that does not need battery charging. Conversing with someone via the telephone is nearly as good as talking with someone face-to-face. For situations where a face-to-face meeting is not feasible, a phone call is the best way to get an immediate, personal response. As with other forms of communication, such as texting or email, you leave a message and hope for a quick response. In many cases, responses do get delayed for some reason and can become a source of stress if the business requirement demands a quicker revert or action. The three most vital elements of effective communications include body language that accounts for 55%, tone of voice that accounts for 38% and spoken words that represent 7%. The tone of voice has such importance because it provides dimension and emotion to words. Over the telephone, it further increases the effectiveness of the communication as body language cannot be assessed in that case. Yet, certain aspects of body language, such as smiling and walking while talking, tend to come across in a telephonic conversation. The teleconferencing feature that is offered by landline telephones nowadays is a provision that has surpassed the barriers of the traditional two-way communication on a telephone. It brings people together from all over the organization and from different geographical locations at a very minimal cost. Such features have immensely helped save time and resources of organizations. Conference calls, when used along with video conferencing bring the essence of a personal meeting to the communication as presentations are viewed, questions are asked via the Internet and answers are discussed among a number of people attending the call. Although many a great features compel that landlines be used in organizations and offices, the three benefits mentioned above are features that cannot be matched by cellphones. What is the thing most important to people next to food and water today? It’s a Smartphone! Smartphones have vastly speeded up communication and the transfer of information. As Smartphones are increasingly dominating the world of communication, it’s still hard to beat the safety and reliability of landline phones. People throughout the world have started replacing their landline phones with Smartphones. While having a cell phone has become a standard for millions of people, we should not forget the importance of the humble landline phones, which provide a ubiquitous form of communication. So let’s go over some of the obvious benefits of landline phones in times when everything is going wireless. When it comes to effective communication, landline phones are still considered a better option. They never make us worry about weak signals or dropped calls. They are valuable in an emergency and are the front-runners of reliable telecommunication. Currently, many top companies are using landline phones for performing their business operations, which prove to be most reliable. 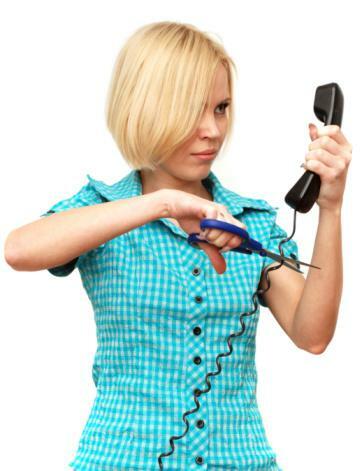 Landline phones are safe to use, and are never plagued by dropping calls and fuzzy reception. No worries about whether you have enough minutes left for the month, or what to do when the battery exhausts. A landline phone offers a higher degree of security. Home-security systems generally require a landline phone to monitor fire and burglar-alarm sensors. Buy as many smartphones as you wish but remember one thing, a landline phone will always remain your safest bet! For your kids or parents, landline phones provide a great comfort. Due to their larger size, they allow users to more easily cradle their phone between head and shoulder. 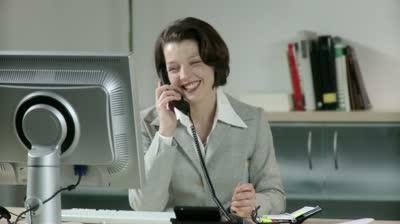 Finding a reliable home phone provider is not an easy task. The problem that most of the people face with home phone providers is that they charge various hidden costs. You need a provider who can provide home phone service at nominal cost. Expert Phone is a great choice if you’re looking for inexpensive local home phone service in Alabama or in other states of the USA. They can connect you with reliable home phone service providers at the best prices. Charges on T-Mobile that have been lingering are now going to be settled by the telecom giant as it has agreed to pay the FTC and FCC a total of $90 million as a settlement. There were charges that the company was allowing third-party premium messaging services to charge customers for unwanted services. It was also charged for being complicit in the activity during the process by collecting up to 40% of the revenue it got from the services in 2012 while ignoring the majority of customer complaints. An investigation conducted in July by the FTC and FCC found T-Mobile guilty of said charges and therefore, sought indemnity from the operator. Out of the total amount, $67.5 million will be left aside to repay customers who were overcharged. Other than that, T-Mobile will pay a sum of $18 million to all of the 50 states in the U.S. and the District of Columbia, in addition to $4.5 million that will go to the U.S. Treasury. The consent decree requires that T-Mobile does not charge customers for third-party Premium SMS products and services. It also requires the company to create a system where customers can verify third-party service charges before they are asked to pay for them. The company now has to block third-party charges without any extra charge and make it easier for customers to identify possible fraudulent charges, and provide additional training for customer service staff to appropriately resolve customer complaints related to unauthorized charges. The initial complaint filed by the FTC and FCC had mentioned that T-Mobile, at many instances, concealed third-party charges in monthly bills and also didn’t provide customers with full refunds. It even refused to refund some customers, and in some cases told them to recoup the charges directly from fraudulent services without providing contact details, which ultimately led to this settlement.